already? his daughter isn't even out of the morgue yet! geez! I suppose he will talk about Shaniya, her death and so on. I think it is great that this story is getting national attention. It may help save another child in this situation. squalling just for show and I don't now. He is a low life. He is almost as much to blame as Antionette. the conditions of that trailer, he should have. It was his responsibility as a parent. Now he wants to profit from this tragedy. He should be hanging his head in shame. Ya done good michelle. Thank you. Maybe a press conference is forthcoming. how far did the bio hag live from the dad? anyone know right off the bat? thanks bunches..
Would you mind doing a side by side with all 3 pics??? That would be great. I came by this on another board and thought it was interesting.. 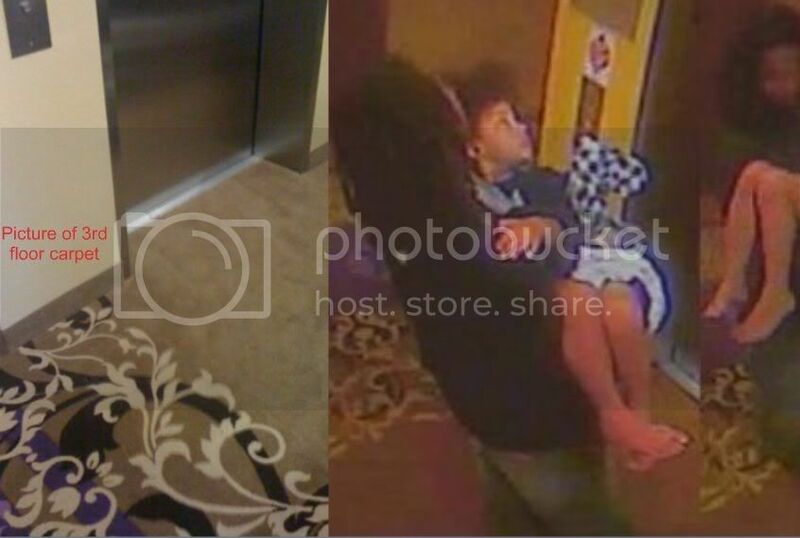 So the pictures we have seen of Mario carrying Shaniya are on the 3rd floor and have to be leaving, not coming. Wonder if that's why they are now admitting that Shaniya was alive when they left the hotel? Is that the county for the hotel or the trailer? Info on Shaniya's dad, including a completely different name he has used (alias). DOES NOT APPEAR TO BE SHANIYA'S DAD. SHANIYA'S DAD IS 38/39 YRS OLD. Your work is wonderful, I hope you don't mind me questioning, are you SURE this is the right Bradley Lockhart? I believe this guy no.1 is not our Bradley, please, will you make sure so we can delete it if its not? TIA. Thank you for bringing this forward! Thanks so much. Look at the patterns, do they match to you? I think they are a little off. not trying to nit pick guys but i think the carpet looks slightly different... in the poster pic it looks like the purple line is smaller... hotels do use similar carpets with slight variations on different floors i've noticed.... is it possible that what we thought was a 3 is actually a 2? The 2nd pic shows the carpets pattern not up against the wall as it shows in the webslueths pic and the pattern is different. The WS pic, is that the same elevator on that floor? Are there maybe two?